Quadcopter Propellers 12x4.5This is a set of two 12x4.5 plastic Slow Flyer propellers, one normal an.. This is a set of two 10x4.5 plastic Slow Flyer propellers, one normal and one pusher (reverse). 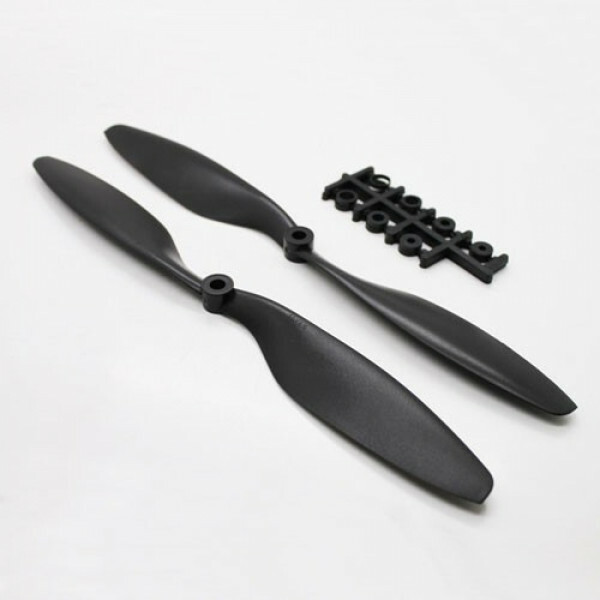 You'll need 2x Slow Flyer propellers and 2x Slow Flyer Pusher propellers for a quadcopter. 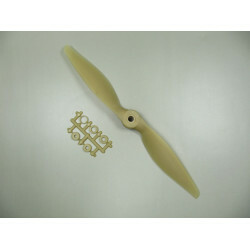 Each set comes with relevant accessories for mounting to different shaft sizes.